Today I want to share with you a birthday party put together by my friend Aimee for her little boy. 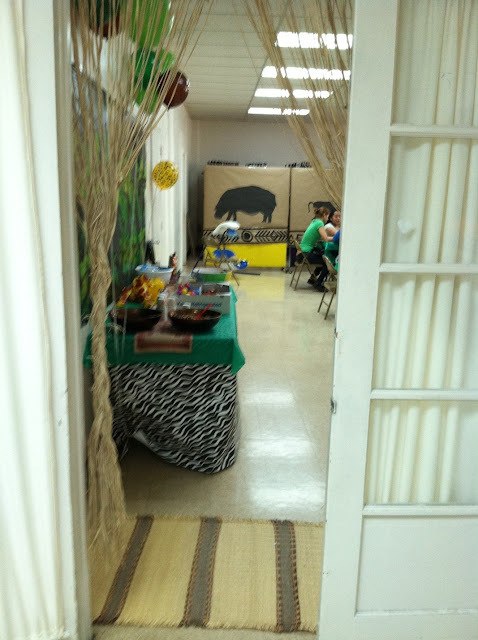 She put a lot of thought and detail into this party and there are a lot of great budget friendly ideas that she shares. 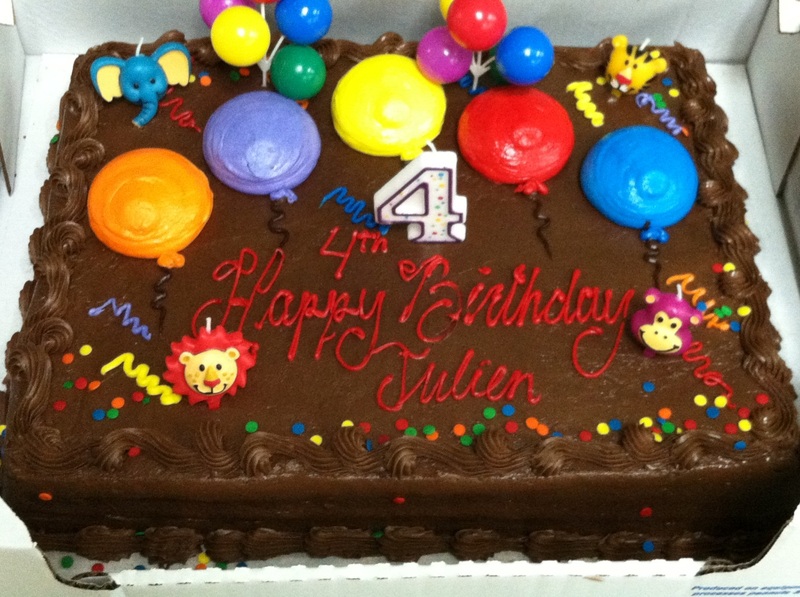 My son Julien was turning 4 and we knew we wanted to throw him a party that was big, yet budget friendly. 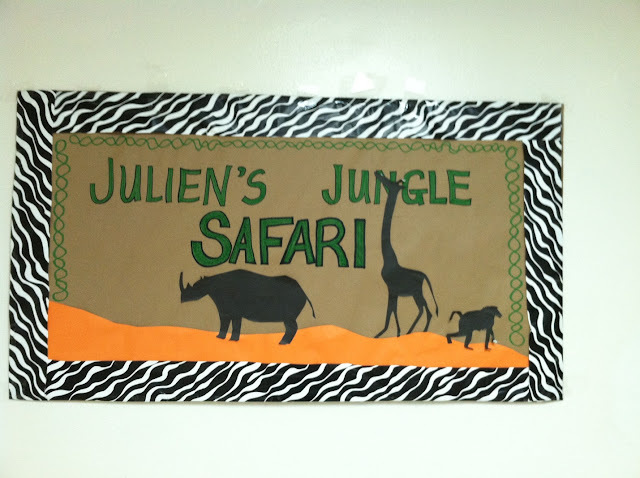 We also wanted the party to showcase a theme that represented Julien’s specific interests, yet one we knew was approachable creatively because we planned to do a lot of the decorations ourselves. We knew it would be a large event for two reasons – firstly, because my husband is the pastor of a Spanish speaking church. 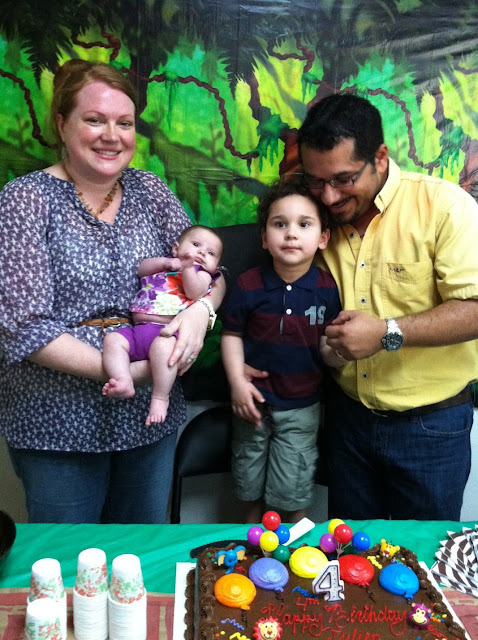 And in “our” culture (I am Latin by adoption) everyone enjoys a good party—even children’s parties, so everyone was invited. Secondly, we made the finance-driven decision that we would only do large parties every other year for our children, and on the off years do intimate family gatherings. Julien gets the even years and our newborn daughter Bella will have the odd years which works well considering she will have a quinceañera party when she turns 15 if she chooses. and kept the color scheme simple—just a few basic colors that would be easily associated with an African Safari—brown, black, orange and a bit of green. 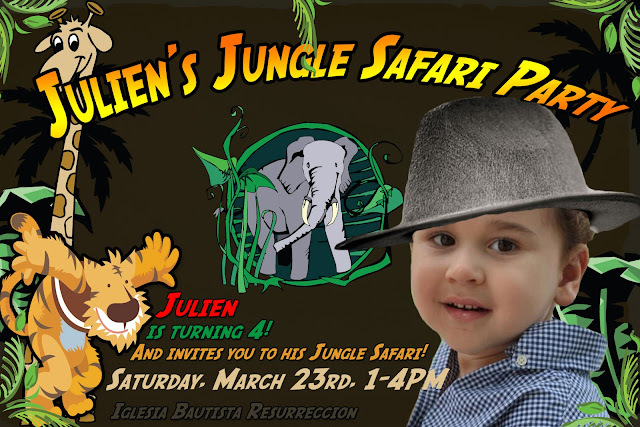 My husband has mad graphic design skills and pulled together this invite in about an hour. You should see what he creates with more time! Since invites have to be delivered ideally two weeks before a party like this which means having them ready for press about 3-4 weeks before, I didn’t have a lot of time to discuss this one with my husband. I knew it was going to be a safari party, but my idea for the silhouette animals was just beginning to take shape, so I was only verbally able to give my husband a few ideas and he came up with this with the little time he had (which I think is pretty awesome). If the full party design concept had taken shape in my head prior to the invites being created, I would have insisted on the silhouette animals in the invite to compliment the rest of the party design. 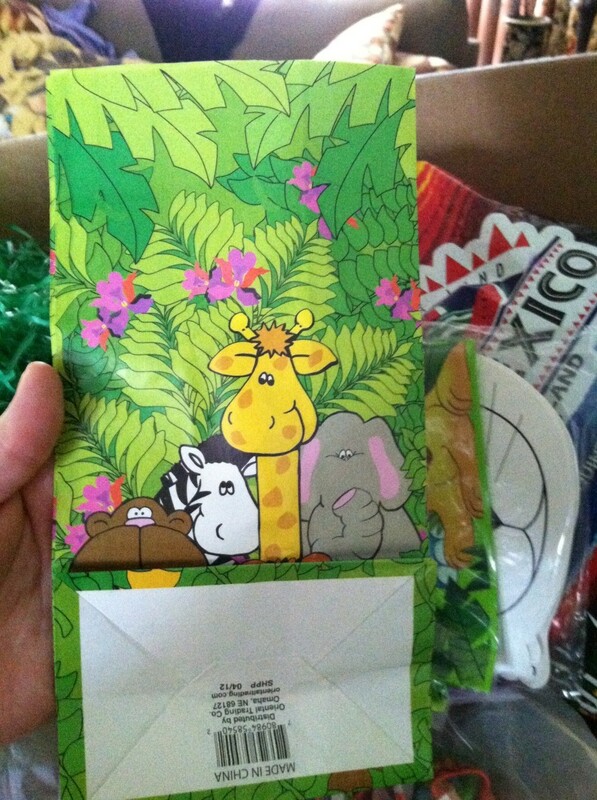 One other great part about these invitations is that we paid only around $8 for 75 of them! As you know, this is another component of a party that can easily eat away at your budget. How did we do it? My husband created the design (you can literally use any program that allows you plop images, shapes and text into it—sometimes I just use Word) and converted it into a .JPEG image, which is the format for most digital pictures. Then, we sent it to our local pharmacy photo lab online, and for about $0.10 per “picture”—which includes envelopes!!!! !---we had our invitations. I requested them in matte which helped them look less like photos. The only giveaway that they were processed as photos on proper photo paper was the “Kodak” emblem across the back of the paper. Some people won’t like this idea for this very reason. To us, having it be somewhat obvious that they were photos didn’t matter and it was one of the areas where we did not want to spend our budget. 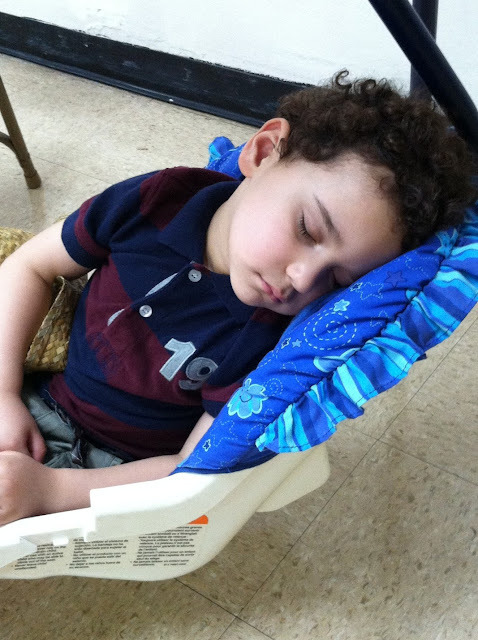 The location was an easy choice, since our church has a good amount of space and many rooms to work with. It was also FREE—so no hit to the budget for space rental. We chose a room on the first floor of our old church building. I liked the size and the fact that it has a nursery/children’s rooms connected to allow for children to play and still be supervised while their parents ate/socialized/etc. Another feature that I liked about the room was that it has these large (approx. 6’x6’) mobile panels/room dividers that would help me tailor the size of the room to the amount of decorations I planned to include. Sometimes when you have a space that is too large, the decorations get absorbed and are fairly unnoticeable unless you have a lot of time and money to cover every few feet of the room. I pulled the panels forward and closed off about 1/3 of the room because I knew that the amount of my attendees and the amount of decorations I planned for would fit in the other 2/3 of the room. The panels also became the focal point of my decorations, which you will see in the images. I didn’t have to rent tables, chairs, or any other part of the room so as I mentioned, this hit our budget with a big, fat $0.00! 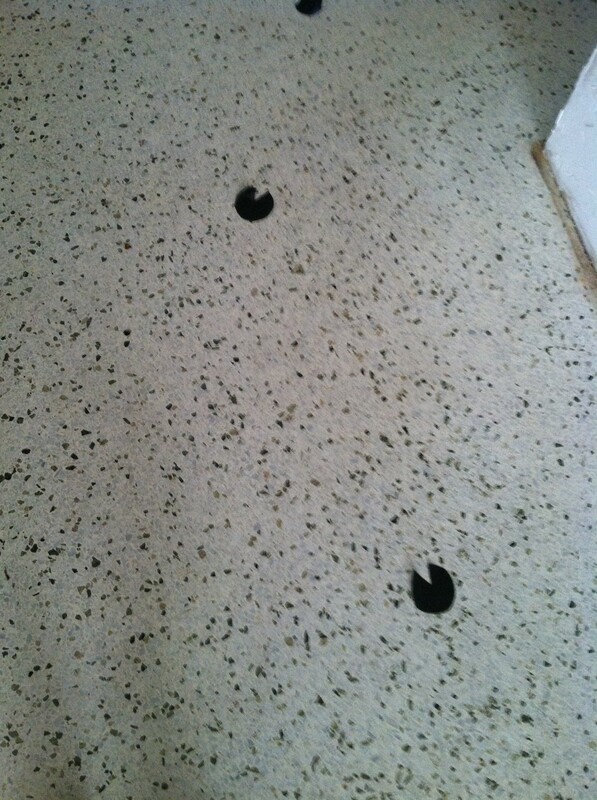 “foot prints” to lead guests from the entrance to the party room. To accomplish this, I bought four large (48”X 60 yards) rolls of colored paper online at a teacher supply store for about $8 each which was extremely budget friendly. I had LOTS of paper left over, so you may be able to get by with far less. 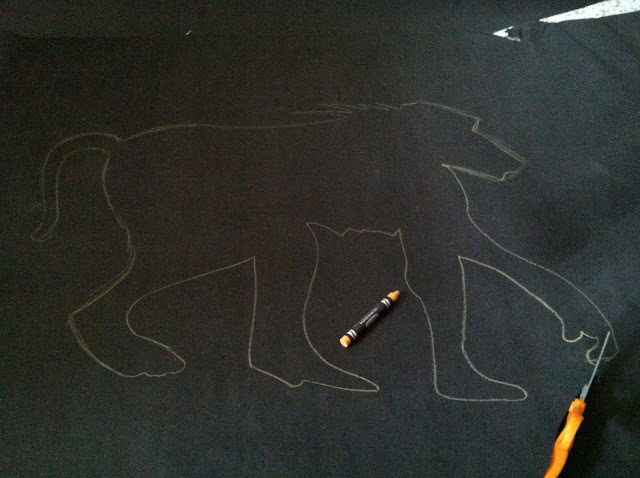 For the large animals I found African animals online—most of them already in silhouette (you’ll need a lot of hard floor surface if you are making very large animals, unless you have a 48”x 48” craft table). The hippo was the only one I had to render from a real photo. I chose five animals and decided I would draw them and then trace them each once to produce a total of 10 animals which would cut down on having to draw so many. You could also do just three, which may be more manageable. I traced them freehand, which may frighten you at first, but I promise the silhouettes are forgiving. As I was cutting the animals out, I often trimmed here and there to tighten up the image. If this freaks you out too much, you could either find someone who has more artistic ability, or if you have access to a projector—project the images to paper taped to a wall and trace them. I used white and other light-colored crayons to trace on the paper. This was the most time consuming part of the project—took approximately 4-6 hours once I began tracing. In addition to the paper, I spent about $11 at Office Max buying double sided tape rolls to mound these. You can probably find this tape (and maybe a cheaper mounting solution) online. 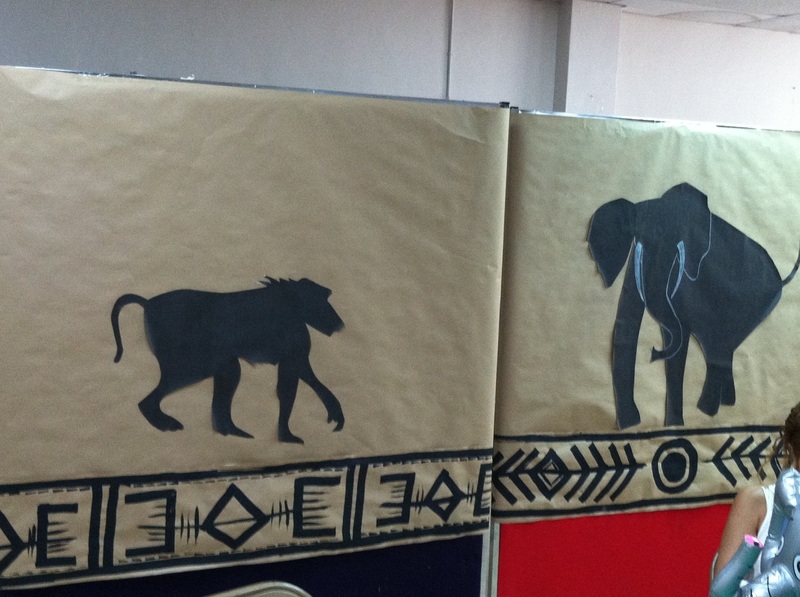 The table runners were also time consuming and took nearly the same amount of time as the animals, but they added so much artistic appeal. I also used them as a border around the room, for example under each of the large silhouetted animals on each room divider. It was the design element that grounded my theme and carried a consistent “message” throughout the room. Warning: You will need a large area for these to lay while drying if you attempt them or something similar. 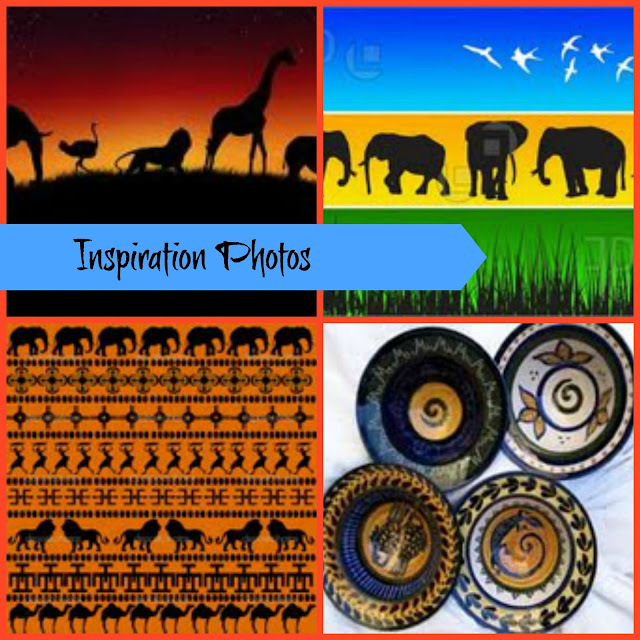 I wanted them to look like tribal artwork so I went online and found a few simple African-looking designs that inspired me. I tried them out on paper first (see image) to practice and avoid errors on painting them. Again, the finished product might look impressive, but there are LOTS of “errors”. I wanted them to look “ancient” and rough like primal graffiti so it didn’t bother me that the paint coverage was thinner in areas and thicker in others. I measured the table length and knew the runners should be around 12” in width like other fabric table runners. Since I wanted to make this as efficient as possible and not waste materials, I cut the proper length from the paper and folded it in thirds allowing me to make three runners from one length of paper. My paper was 48” in width, so my runners ended up being about 16” which I was okay with. I used poster paint I had around the house in black and brown (and even mixed other colors into black or brown when I ran out) which cost me nothing. I probably used about 3-4 large bottle size to paint the runners (25 in total), but I only ended up using 17 of the runners. 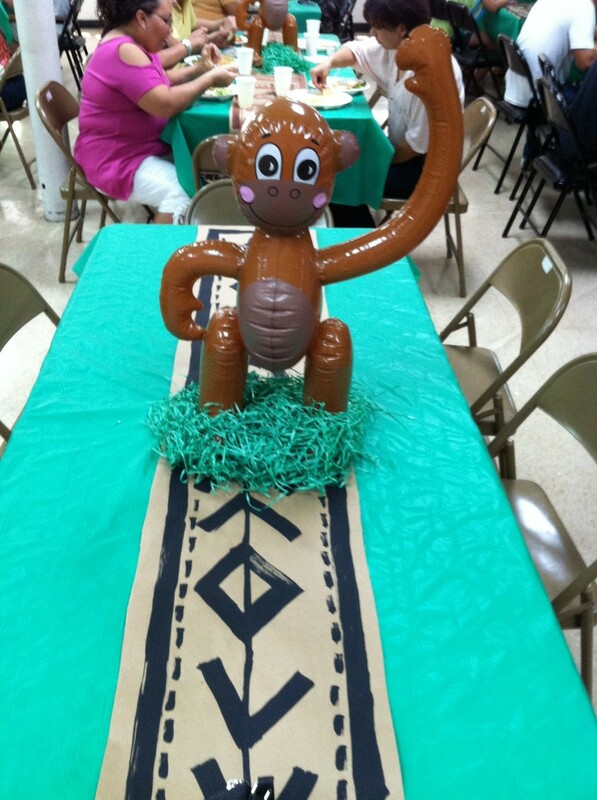 I used discounted Easter basket “grass” to support the inflatable animals that were our centerpieces and give it a bit more color. The Easter basket grass was a few cents per bag—and is in fact one of my favorite party tricks—using the latest holiday’s clearances items and re-purposing them for any upcoming party decorations. The “vines” and animal foot prints were super easy. I did both in the matter of 1-2 hours while catching up on episodes of Downton Abbey. The vines were made by simple taking a square of paper (approx. 12”x12”) and starting at an outside edge and cutting around in a spiral. The resulting spiral length is impressive—it was approximately 20 feet in length which allowed it to hang down nicely from the ceiling of our party room. It also gave the room atmosphere more of a “jungle” theme. The animal foot prints were also very easy—I chose two easy animal prints I knew and cut out a few of each. I tape these to the floor of the entry way to help lead guests into the party room. You may not need this feature if you don’t have a lot of floor space, and/or guests can find the party room easily. The signs were simple as well. I used the same paper used for the other decorations and added a zebra print wrapping paper I found at a party store for sign borders and I mounted both signs on the cardboard for stability. 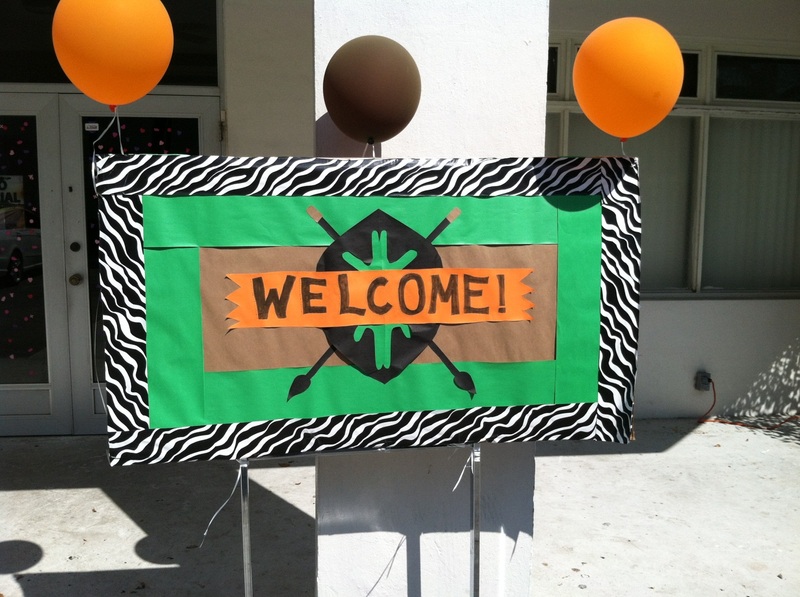 On one sign I created a tribal shield by finding one online I could mimic easily with cut paper. I mounted the design elements with double sided-tape and used markers for the letters. If I had more time I would have more carefully drawn the lettering or used a stencil, however, the signs were the last items to be created and Mommy was tired at that point! The zebra print wrapping paper was $.99 for a generous roll and I bought three because I knew I would use the zebra print in other places, such as, as table “skirts” for the food, snack, and gift table. 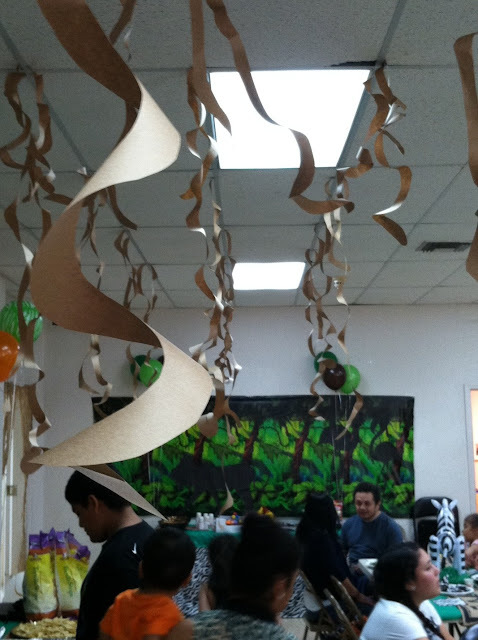 Decorations I splurged on were – a 30 foot scenery roll that really helped to cover the white walls of the room ($13), balloons ($27), a 60 yard roll of plastic green table cloth ($12), woven safari hats for party helpers ($12 for 12), inflatable animals ($19 for 12), and a string of raffia to hang in the doorway ($5). These were purchased online either via Amazon.com or OrientalTrading.com using free shipping coupons. It’s also very important to note that the more decorations you make and/or purchase, the more time it will take to decorate. I know that sounds obvious, however, I realistically only thought it would take 2-3 hours to decorate with what I had in mind (and planned for) and padded in an extra 2 hours just in case. I was glad I had factored in that extra time (and asked for help from others) because we used it! 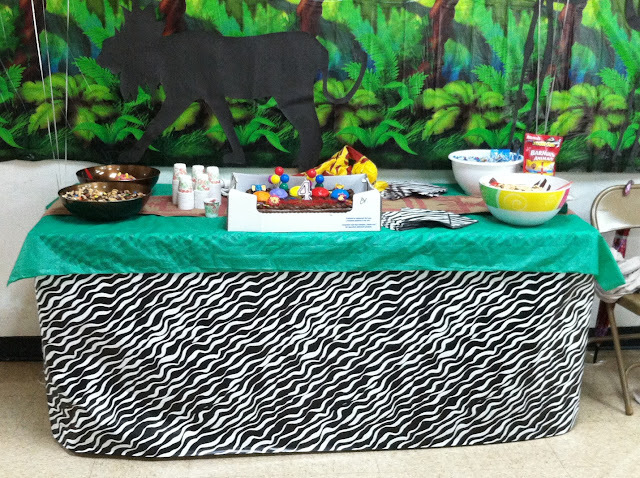 The snack table with trail mix, animal crackers, gummy worms, and cake, with the scenery roll on the wall I splurged on. The activities were simple with two key splurges. 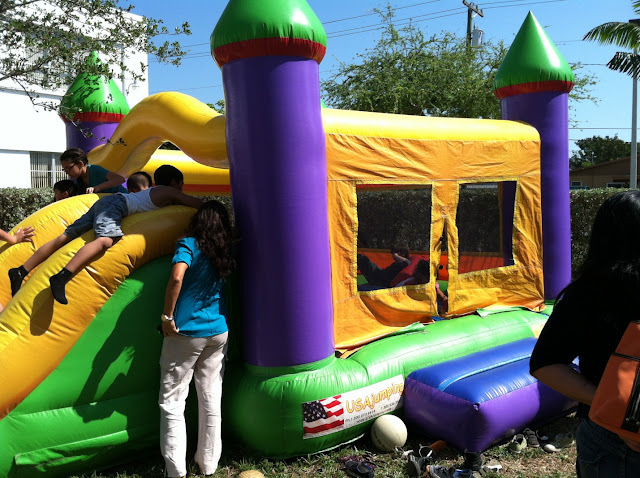 The lion piñata was a splurge and a highlight of any Hispanic child’s birthday party. The piñata itself is pricey—you won’t find one for under $20, and then there is the cost of the candy that fills it. If you choose a smaller piñata—the ones that usually go for $20—you won’t need as much candy—probably 1 large bag of candy (around $13) from Sams or CostCo will do. However, we knew we would probably have a fair amount of children attend since we extended an open invitation to our church, so we chose a larger piñata ($30) and it took 3 large bags of candy from CostCo ($13-$15 each) to fill it. If you have a piñata, you also have to provide a sack or plastic bag that the children can use to put the fallen candy in. The other large expense for the activities was the bounce house/slide. I don’t know if these are a big thing in other areas of the U.S., but in Miami and probably all of South Florida, these are a HUGE hit. There are hundreds of party vendors here stocked with these in every party theme you can image. It is always a major highlight of the party for the kids and a big budge eater as well. This one ran us $140 and that is on the low end of the spectrum. We could have spent well over $200 on one that was fancier and had other features, such as running water, basketball hoops, etc. The other activities were very low cost—a “safari” scavenger hunt where the children found hidden plastic animals. “Feed the Elephant” was a relay race where children carried circus peanut (remember those big orange marshmallows in the shape of peanuts?) on a plastic spoon and dropped them in buckets. And I also purchased paper animal masks for the children to color and wear (around $12) at the beginning of the party which also served as a time filler while we waited for the critical mass of guests to arrive. Some people choose to spend hundreds of dollars on just the cake—and if you make the decision to splurge here—there are BEAUTIFUL cakes to be bought. We went with a large sheet cake from CostCo and I added my own animal candles, and plastic balloons kept from other parties. This huge cake, which easily serves 50 people (small slices), was $20. We chose to make the food ourselves to save money—however, I would never spend the time here unless I had done it before. Making food for that many guests is crazy time consuming and you have to choose extremely carefully on what to make—something that is simple and doesn’t require a lot of ingredients, economical (if you don’t plan to spend a lot of your budget here), something many people will enjoy including picky kids, and can be kept warm easily. I also wanted to keep to theme, but I had to compromise here. It had been many years since I’ve prepared anything African and I didn’t want to risk it. Also, I wasn’t sure how many people would appreciate those flavors. So I decided to go Mexican. I know what you are thinking—Mexican at an African Safari? Yep. We chose enchiladas as the entrée because it fit all my parameters listed above, and three types—ground beef with traditional red sauce, pork with tomatillo sauce, and cheese. To fit them into the theme we called them “wild game wraps”. The kids could also make nachos from the components if they didn’t want the enchiladas. We also had homemade beans and rice, both of which are common African (and Latin) fare. Since we’ve made huge quantities of food before for other events we had the necessary equipment—extreme size pot to cook 10 cups of rice in, huge (disposable and reused) long pans, large trays, etc. We spent around $150 on food, beverage, and paper/plastic ware (napkins, plates, cups, etc.). The children received gifts as they left, which is a party component you can trim from your budget. Again, I spend most of my time with the Latin culture and we tend to present these “goody” bags to children as their leaving as a “thank you” for attending. The bags can be plastic or fabric, graphic or plain. They can contain any number of items—often candy, toys or other trinkets. You can easily innovate yourself and buy simple paper lunch sacks and create your own. I chose to save some time here and purchase paper bags with an animal graphic ($3 for 12) and fill them with rubber animal print bracelets, a plastic toy whistle, candy, and animal “tattoos”. The birthday boy about 30 minutes in. Family Pic. Impossible to get everyone all looking at the camera. Thank you Aimee! What an awesome party! I am so impressed by all of the detail you put into this! I am sure any of use could use some or all of these ideas to create a party any kid wouldn't soon forget! What's up to all, because I am actually eager of reading this weblog's post to be updated daily.